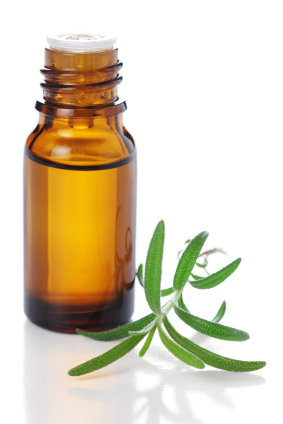 Essential oils are the natural, aromatic, volatile liquids found in shrubs, flowers, trees, roots, bushes, and seeds. The distinctive components in essential oils defend plants against insects, environmental conditions, and disease. They are also vital for a plant to grow, live, evolve, and adapt to its surroundings. Essential oils are extracted from aromatic plant sources via steam distillation, and they are highly concentrated and far more potent than dry herbs. Essential oils are the immune system of the plant. While essential oils often have a pleasant aroma, their chemical makeup is complex and their benefits vast—which make them much more than something that simply smells good. Essential oils are considered mankind’s first medicine, and they have been used around the world for centuries. Essential oils and other aromatics have been used in religious rituals, to treat various illnesses, and for other physical and spiritual needs. The reintroduction of essential oils into modern medicine first began during the late 19th and early 20th centuries. Since that time, essential oils have been used traditionally to kill harmful germs, as well as spiritually to balance mood, lift spirits, and dispel negative emotions. Lake Country Pediatrics, S.C. carries Young Living Essential Oils, the leading provider of essential oils, offering more than 300 essential oil singles and blends. All Young Living essential oils are therapeutic-grade oils. This means that every essential oil Young Living distills or sources has the optimal naturally-occurring blend of constituents to maximize the desired effect. Only YLTG essential oils should be used for the primary methods of application, which include inhalation and topical application. Aromatherapy is the inhalation of plant oils, called essential oils, for improved physical, mental, and emotional well-being. Essential oils are the pure essence of the plant—often referred to as nature's living energy—and can provide both psychological and physical benefits when used correctly. Essential oils can be used on their own for aromatherapy or with complementary natural ingredients, such as vegetable or carrier oils. Aromatherapy is one of many ways you can enjoy the therapeutic benefits of essential oils. When practicing aromatherapy, it is vital that only pure, undiluted essential oils are used. Synthetic, perfume-grade products lack the necessary level of beneficial constituents and offer little or no positive effect. When a therapeutic-grade essential oil is diffused, it's inhaled and processed through the olfactory system, which then sends the therapeutic benefits of the aroma to the brain. Depending on the specific constituents in the oil, you may begin to feel the release of negative emotions, the soothing of undue muscle tension, or experience the cleansing effect of the oils. There are two ways to use essential oils for aromatherapy: inhalation and topical application. Diffuse essential oils using a device that disperses the oil into the air in a micro-fine vapor. Essential oils can be applied directly to the skin. Be sure to read the label before using oils topically, as some oils must be first diluted with a carrier oil like cold-pressed olive oil or Young Living's V-6 Enhanced Vegetable Oil Complex prior to use. Place 2–3 drops of oil in the palm of your hand or directly on the desired area. If placing oil in your hand, rub palms together in a circular motion and then massage oil onto the desired point of application. If applying directly to the desired area, massage the oil into your skin using a circular motion. Repeat as desired. Note: Essential oils are very potent, and some may be irritating to the skin. If irritation occurs, immediately apply a carrier oil or pure vegetable oil to the area to dilute. Please read label directions for each individual oil before using. Thieves®: University-tested for its cleansing abilities. Purification®: Excellent for cleansing the air of impurities. Peppermint: Diffuse or apply topically for an energy boost. Lavender: The most versatile of all essential oils, lavender oil is good for quieting the mind before bed. If you would like to purchase Essential Oil, just stop at either Lake Country Pediatrics, S.C. location. If you would like to purchase wholesale go to youngliving.com. Your Sponsor ID is 1192350. This will allow you to order as much or as little as you want and gain free admission to any Lake Country Pediatrics, S.C. classes as well as have a 30 min complimentary consult with Nettie Palay MSN, PNP. We encourage parents to order True Botanica products. Recieve a discount when you use discount code: PR115 at checkout. Find out more about infant massage & essential oils. Everyone is welcome!